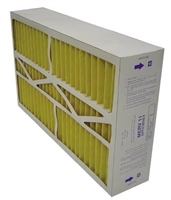 Here at Filter Shipping, we carry a full line up of Totaline filters for your furnace, air conditioner, and air cleaner. 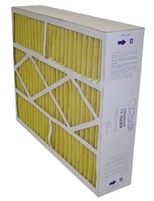 Totaline's filters can also fit into most Goodman and Five Seasons systems. Exact Size: 16.375" x 21.5" x 0.75"
Exact Size: 19.875" x 21.5" x 0.75"
Electronic Air Cleaner Rolled Media 1000 12" x 24"
Electronic Air Cleaner Rolled Media 1000 14" x 20"
Electronic Air Cleaner Rolled Media 1000 14" x 24"
Nominal Size: 12" x 24"
Exact Size: 10.5" x 21.5"
Exact Size: 12.5" x 17.5"
Nominal Size: 14" x 24"
Exact Size: 12.5" x 21.5"
Electronic Air Cleaner Rolled Media 1000 14" x 25"
Electronic Air Cleaner Rolled Media 1000 16" x 20"
Electronic Air Cleaner Rolled Media 1000 16" x 24"
Exact Size: 12.5" x 22.5"
Electronic Air Cleaner Rolled Media 1000 16" x 25"
Electronic Air Cleaner Rolled Media 1000 20" x 20"
Electronic Air Cleaner Rolled Media 1000 20" x 24"
Exact Size: 18.5" x 17.5"
Exact Size: 18.5" x 21.5"
Electronic Air Cleaner Rolled Media 1000 20" x 25"
Electronic Air Cleaner Rolled Media 1000 20" x 30"
Exact Size: 18.5" x 22.5"
Exact Size: 18.5" x 27.5"